Along with online blackjack, roulette is one of the most popular casino table games worldwide. 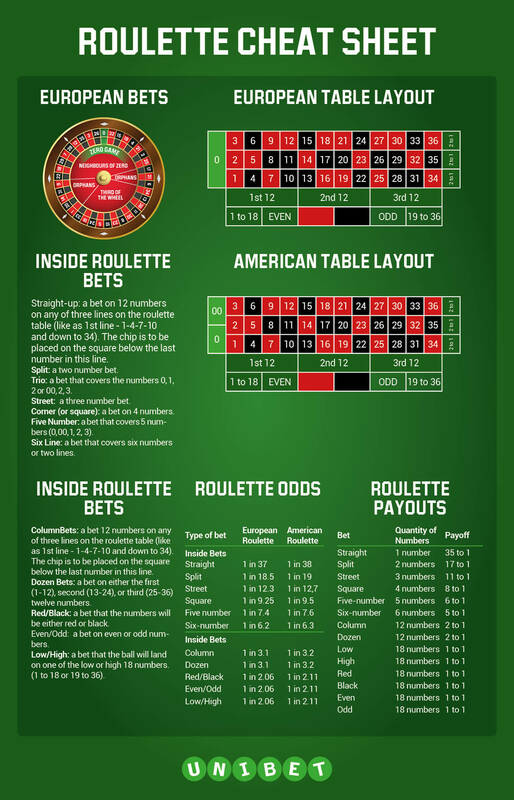 At a glance, the roulette table layout might look daunting but once you put your mind to it, online roulette is a fairly easy game to play and comprehend. Following the standard roulette layout found at most American casinos, you can place your bet on any single number (straight up), a combination of numbers, red or black, odd or even on any number between 1 and 36 and 0 and 00. Each online roulette game kicks off when the dealer spins the wheel in one direction whilst rolling a small ball along the inner edge of the wheel in the opposite direction. The ball will eventually fall into one of the many slots. The number it falls on will be declared the winner of the game. Red or Black: a bet on a color (red or black) instead of on a number.